Whether you’re addicted to surfing and are looking to scout out a few new international surf spots or you’re a beginner surfer, who is looking to watch some of the best surfers in the world catch epic waves, it’s definitely worth reading on to discover a few of the highest rated surf spots in the world! While Canada may not be the first country which you think of when you think of world-class surfing spots, if the sound of surfing at a beach which is surrounded by stunning natural rainforests and which isn’t teeming with tourists, it’s well worth visiting Tofino. Tofino is located on the west coast of Vancouver Island and boasts a picturesque break, which is well worth trying to catch. As an added bonus Tofino boasts waves to suit all experience levels from novices to intermediate and expert surfers. If you’re a keen surfer, who has their heart set on visiting Europe in the near future, if you’re interested in riding some of Europe’s best breaks, it’s well worth including Pedra Branca Ericeira, which is one of Europe’s top surf spots. Pedra Branca Ericeira boasts a huge sandbar and a massive reef break, which means that the surf spot often boasts monster sized waves. As an added advantage the beach also boasts 6km of powder soft white sand, which is perfect to relax on before and after your surf sessions! Australia is home to a plethora of the world’s best-surfing spots. One example of which is Bryon Bay which boasts a spectacular 70km long beach and is attracts countless international surfers each year. In fact, Bryon Bay is such a well-regarded surf spot that it regularly hosts professional surf competitions. If you’re a skilled surfer is looking to get off the beaten tourist track, you may want to consider flying to Samoa and taking on Coconuts which features a classic surf break which is formed over live coral and often boasts 150 meter long rides. Just be sure to keep your wits about you as even professional surfers have come close to cracking their boards whilst trying to ride Coconuts’ epic waves. 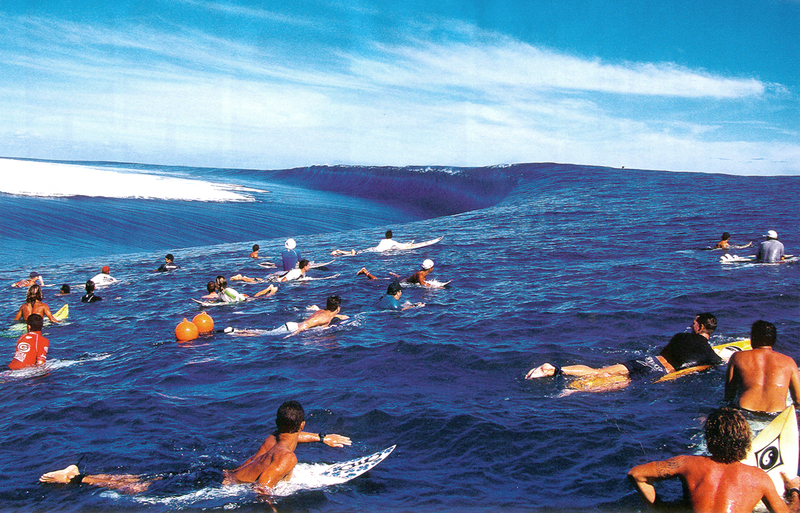 Jaws, is a surf spot which is located in sunny Maui and which offers epic, monster-sized waves that should only be ridden by expert surfers with plenty of surfing experiences under their belts. In winter the waves at Jaws can reach a staggering height of around 27 meters tall and as Jaws’ waves break both left and right, you have to be confident in your surfing abilities in order to take on Jaws’ legendary waves. However, if you’re a newbie or intermediate surfer, you may want to visit Jaws in order to watch world-class surfers catch and ride mammoth waves. So if you’re looking to visit some of the world’s highest-rated surf spots, it’s well worth aiming to visit all five of the exciting surf spots listed above!